BCA has introduced a new supply chain operation structure to strengthen its support for manufacturers and fleet operators across the vehicle lifecycle. BCA has introduced a new supply chain operation structure. The new structure has four operations covering key technical and logistics services for manufacturers and fleet operators from port and factory end to defleet. 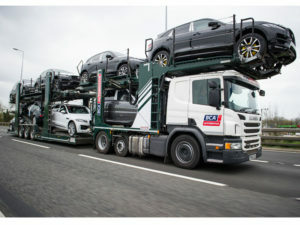 BCA Vehicle Services provides new vehicle services, BCA Fleet Solutions delivers fleet management, defleet and refurbishment services, BCA Automotive handles multiple vehicle logistics, and BCA Logistics provides single vehicle movements. The service integrates the businesses of Ambrosetti and Paragon Automotive, acquired in 2016, alongside the existing vehicle logistics operations. The combined operations brings over 700 vehicle transporters and a network of 25 de-fleet sites that will manage over 1 million vehicles a year.